Screen Doors is one of the leading manufacturers of rollers shutters, domestic, windows, security, outdoor, aluminum, extruded, electric, roller shutter. 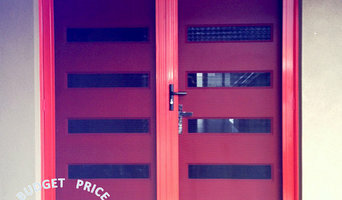 We also manufacture Security doors made from Aluminium and Steel mesh. With over 30 years' experience in the industry, Glanville Security Doors is a family business that services the Seamore, Wallan and Kilmore regions. As a manufacturer we can customise a solution to suit whatever your needs or budget. Security Doors Melbourne Sales &amp; Installation of Screen Doors, Window Security Grilles, Lock Replacements &amp; Repair Service... We Specialise In the Supply &amp; Installation Of A Wide Range Of Quality Aluminium Security Doors For Melbourne In Heritage, Classic, Federation &amp; Victorian Designs Our goal is to provide you with the base level home security; securing the entry points of your home with quality doors and locks SERVICE TO THE NORTHERN &amp; WESTERN SUBURBS OF MELBOURNE * Displaying Sliding Security Doors Installed From The Inside Of The Frame We also specialise in: Replacement of security dead locks with snibs , Sliding aluminium windows and push locks, Variety of colours in window locks, Repair service also available, Dead locks with latch &amp; bolt, Window winders with locks, Standard window winders, Patio security bolts Security screen doors can be fitted through out your house. This will protect you from intruders and unwanted insects, window grilles can be installed increasing the security in your home also. 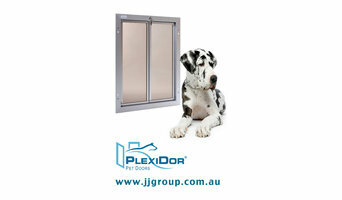 The security doors are made from Aluminium this prevents it from rusting and Aluminium is made to last the test of time. Large assorted of colours to choose from. We come out to your home and give you a free measure and quote Our security doors are all about choice and offers the most grilles and door designs. For a estimate quote please provide the security door product number.A brief description e.g hinged or sliding security door, Approximate opening size.Also with any optional extras for example : Triple lock , Limited vision mesh , Side panels , Pet doors , etc. All replied enquires will have 12 Months Warranty, Installation can be provided there will be an extra charge All security doors optionally available with special "limited vision mesh"
Doorite Screens provides Stylish & Secure Security Doors & Flyscreens for windows in Melbourne, Fully measured and installed by expert trades people. Our Security Doors & Flyscreens are Custom Made, to ensure the best possible fit, All available at factory direct prices. We are a family owned and operated business, established in 1989, We service a limited area of the South Eastern and Bayside suburbs of Melbourne. 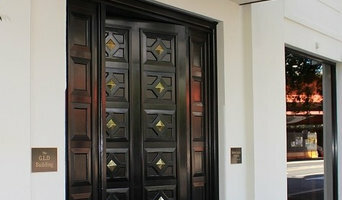 We have been supplying high quality solid hardwood and fully engineered timber doors since 1983. If you have a particular project in mind, are renovating a period home or are looking for a new entrance door or a set of internal doors you can start exploring our extensive range of contemporary, modern or period doors. Our doors come with a 5 year warranty against faulty workmanship or materials. However, please be sure to read our guidance on how to store, install and finish your door prior to commencing work. Our doors are constructed from a beautiful natural product but variations in humidity and temperature can affect the structure and appearance unless appropriate care is taken. All the timber used in our doors is sourced from sustainably managed forests. We currently source our timber from Malaysia from MTCC / PEFC certified forests. Find a Long Forest, Victoria door professional on Houzz. Scroll through this page to find door professionals in your area. Look at project photos and read reviews to find out how homeowners rate their service, expertise and product.